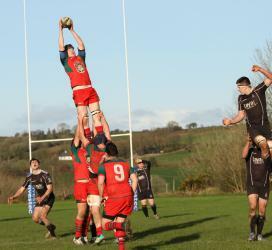 Clonakilty’s XV continued their winning streak last Sunday when they took on Cobh Pirates at home in the Vale. Cobh kicked into bright but blustery conditions and from the off put Clon defences to the test. Cobh settled into the game quicker than the home side with a strong physical attack. After a mere 5 minutes Clonakilty defences could not keep out the strong Cobh attack and they claimed the first try of the day. Clonakilty continued to grow into the game and took their opportunities when they came and with patience were soon rewarded with a penalty which out-half Eoghan Deasy slotted over to bridge the gap to 3-5. The intensity from both sides continued with each side forcing the errors and taking their penalty opportunities. Cobh increased their lead once again when they converted a penalty. But Clonakilty were not going away and again it was Eoghan Deasy who added the points with another penalty putting the score at 6-8. Then it was Cobhs turn to return the favour with another penalty. Both sides continued to do battle, but it was Clonakilty who started to push forward with some great work from captain Donal McSweeney and Courtney Canning at the break down. Clon continued to move up the line moving the ball freely and eventually into the hands of Gerard McCarthy who made a triumphant bound for the line and over for Clonakilty’s first try. Followed up with the conversion from Eoghan Deasy to steal the lead back from Cobh just before the half time whistle. hold on the game and continued to push back any Cobh attacks that tried to break through. Clon worked hard to once again put themselves into a scoring position with prop Josh Wilcox breaking over the Cobh line and in for Clonakilty’s 3rd try finished off with another successful kick from Eoghan Deasy to make it 100% accuracy for the out-half on the day. Clonakilty were now very comfortable ahead but Cobh were not going home and worked hard to make up their errors. The visiting side launched a huge attack that put Clonakilty defences truly to the test and their efforts were rewarded when they created a fantastic break-away try that Clonakilty seemed ill-prepared for. As the clock ran down Cobh continued to try and bridge the gap but Clonakilty were resilient and continued to try and hunt down that vital 4th try but neither side were successful with credit going to the defensive efforts of both sides. As the final whistle blew Clonakilty came out the victors after a tough game. 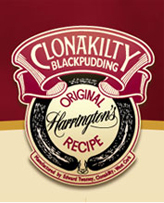 Next week Clonakilty take on Thurles in the 1st round of the Junior Cup with kick off at 2pm at home in the Vale.